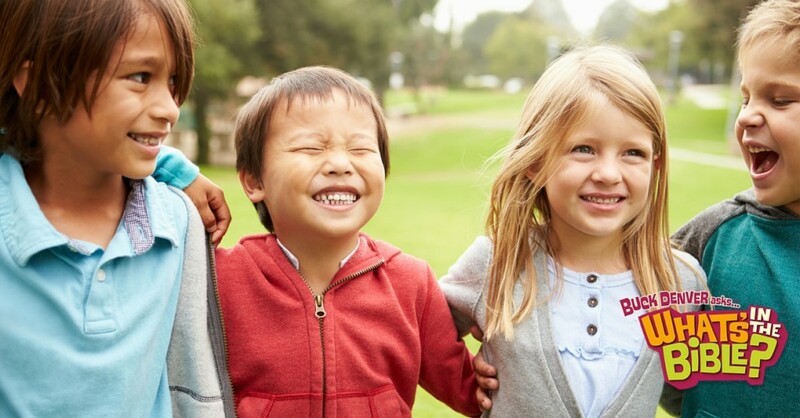 How to Talk to Your Kids about Friends with Special Needs - Blog | What's in the Bible? As the parent of a child who is on the Autism Spectrum, I deeply desire for him to have real friendships and the chance to play with other kids who are his own age. But I also know that throwing him into unregulated play is sometimes taking a big gamble. Will he have an emotional outburst or will something done during play contribute to a sensory overload that will cause him to react, scaring or confusing the other kids or alienating him from these children and potential friendships? Will the desire for him to be included in with his peers eventually lead to self-esteem issues, schoolyard bullying and social isolation? These are the daily questions parents of special needs kids face: this ongoing teeter-totter of trying to balance the need for our children to have socialization and the need to protect them from psychological and even physical pain. It’s tough. It’s a balancing act that many of us aren’t exactly sure where or how to begin. I need to tell you that I dislike the titles of “special” and “typical” we give kids, just like I dislike the word “normal”, but it’s how classifications work, so I’ll use them to clarify points. Just know that I personally believe every child is special in a very non-typical way, because God created them to be unique! That being said, I am also the mother of a typical child. He’s the older brother. Like many of you, I have taught my older son the Biblical lesson of loving his neighbors, hopefully leading by example. We have served in local missions to feed the hungry, put together many Christmas shoeboxes for Samaritan’s Purse, and are currently sponsoring children in Africa and South America. But what here at home? What about our kids even in our neighborhood or at his school who may have a learning or physical disability? How does he love them in a Biblical sense? Loving our neighbor can come in the form of including all kinds of unique kids in our group of friends. It can mean going the extra mile and learning about their specific behaviors, which may seem odd to someone who is considered “typical” but which really are a natural mechanism in which they try to function in a world that may be simply too loud or too confusing at times. It is realizing that ALL kids desire friendship and then taking the first step to be that friend. 1. Plan ahead and preview what is going to happen. Make a list of what possible activities the child and his friend is going to play. Try to schedule out the play date with possible substitute activities if things do not go right. Always have a plan B ready. b. What will be expected of him. c. How long it will last. Based on past play dates, discuss any problems he may have had and how he should handle them. If possible, role play them. Also role play and new games or activities, so he is familiar with them. Prepare the activity the night before and then review everything again just before the event. 5. Observe and be available to redirect. During the activity, observe closely and help scaffold the activity if needed. Let the activity flow naturally, unless you see little signs that your child is getting dysregulated. When you see possible problems (break down in regulation), then provide subtle redirection to help repair the breakdown. 6. Debrief with your child. After the activity is over, sit down with with and review how it went. Talk about what went well and what snags may have occurred. From your observations, pick one or two possible problems you saw, and review this with him and how he may want to handle them (taking turns, sharing, taking turns choosing activity, etc.). Try to have one main objective (social skill) that you are working on to help develop greater cooperative play skills. 7. Make a Play Date Journal. a. Preparation: List of potential activities, plan B, potential problems with possible solutions. b. Post Activity: What activities were played, what worked well, what snags occurred, and what to try next time. If you notice that the friend is perplexed about, or uncomfortable with, your child’s behavior, then explain to the friend “what and why” your child is acting that way. Children feel most uncomfortable when they don’t understand what is occurring and how to react to it. However, most children are flexible when they know what to expect and how to react. If you’re a parent of a special needs child and have been trying to balance their need for socialization and their need for protection, like me… I’d love to hear your story! Please share it in the comments section. May God bless you and give you daily strength and wisdom.